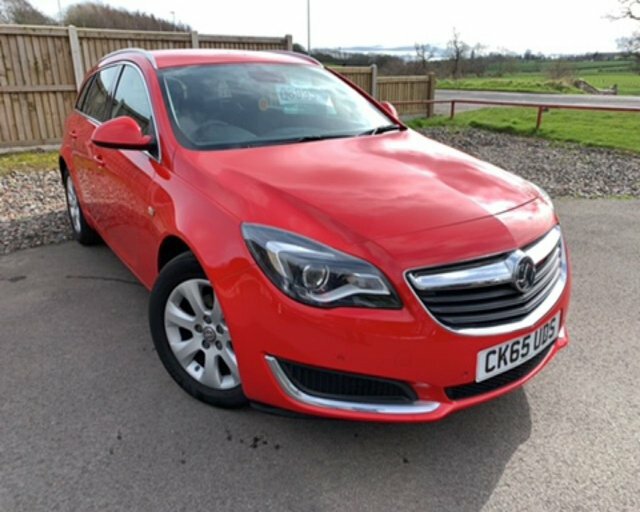 2015 65 VAUXHALL INSIGNIA 1.6 CDTI TECH LINE ECOFLEX S/S 5 DOOR 134 BHP FINISHED IN FLAME RED WHICH IS COMPLEMENTED WITH BLACK LEATHER TRIMMED CLOTH SEATS. THIS CAR COMES WITH A FULL SERVICE PRINT OUT AND IS EXCELLENT CONDITION THROUGHOUT. THE TECH LINE COMES WITH LOADS OF FEATURES THAT INCLUDE ALLOY WHEELS, MULTI FUNCTION LEATHER CLAD STEERING WHEEL, CRUISE CONTROL, SAT NAV, AIR CONDITIONING, PARKING SENSORS, BLUE TOOTH HANDS FREE CONNECTIVITY, ROOF RAILS AND A 6 SPEED GEARBOX. CALL US ON 01228599900 TO ARRANGE A TEST DRIVE AND VIEWING, WE OFFER EXCELLENT P/X PRICES AND FINANCE PACKAGES TO SUIT EVERY BUDGET. 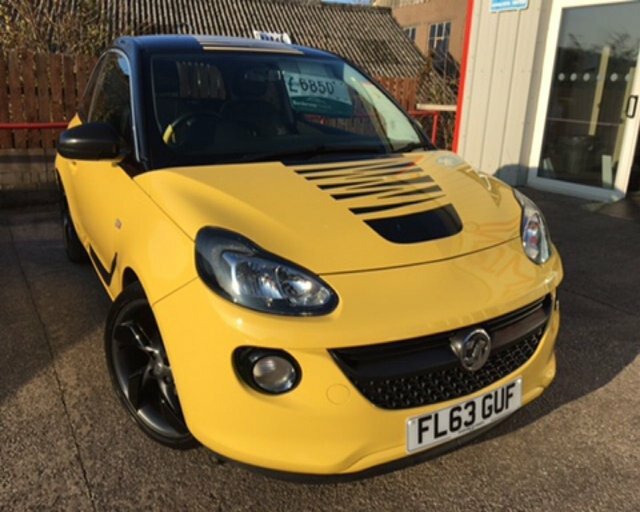 2013 63 VAUXHALL ADAM 1.2 SLAM 3 DOOR FINISHED IN FLAMING YELLOW WHICH IS COMPLEMENTED WITH A BLACK ROOF, DOOR MIRRORS, AND HALF LEATHER BLACK INTERIOR. THIS IS A STUNNING EXAMPLE OF THIS POPULAR CAR WHICH IS CHEAP TO INSURE AND RUN. IF YOU ARE LOOKING TO STAND OUT FROM THE CROWD THIS IS THE CAR FOR YOU. STANDARD FEATURES INCLUDE CITY PARKING, DAB RADIO, AIR CON, 17 INCH BLACK HURRICANE ALLOY WHEELS, CRUISE CONTROL, ESP HILL START ASSIST, FRONT FOG LIGHTS, LED LIGHTS, CALL US TODAY ON 01768840111 TO ARRANGE A TEST DRIVE AND VIEWING WE OFFER EXCELLENT P/X PRICES AND FINANCE PACKAGES TAYLOR MADE TO SUIT EVERY BUDGET. Interested in a sporty hatchback like the Vauxhall Corsa? Keen to get behind the wheel of a rugged crossover such as the Vauxhall Mokka? Come to Intercars of Penrith Ltd today and you'll be able to choose from a fantastic selection of quality used Vauxhall cars, all of which come fully inspected and ready to drive away. As a leading supplier of pre-owned vehicles you can rest assured that we'll do everything possible to help you find the perfect car to suit your lifestyle and budget. View our latest deals on used Vauxhall cars for sale in Penrith here on the website, and remember to contact a member of our showroom team to find out more and arrange a test drive.